Enjoy the rich culinary heritage of the Teochews with this compact cookbook, which features over 80 authentic family recipes. Besides the usual Teochew fare of steamed fish and ngoh hiang, this book features many little-known traditional Teochew dishes—some even exclusive to the author’s family, such as Ho Pung and Sio Bee. These time-tested recipes are painstakingly compiled by Mr Lau Chiap Khai’s daughter, Tan Lee Leng. A woman of many talents, Lee Leng is a food consultant, food writer, chef, food stylist, and a formally trained potter. Lee Leng was trained in the art of Teochew cuisine by her father, and holds a diploma from Le Cordon Bleu in London. Her father, affectionately known by friends and family as Uncle Lau, handed down their family’s recipes to Lee Leng in the hopes that she preserve their heritage. By compiling her father’s recipes, Lee Leng has shared this Teochew culinary heirloom so that current and future generations will be able to enjoy these wonderful recipes. 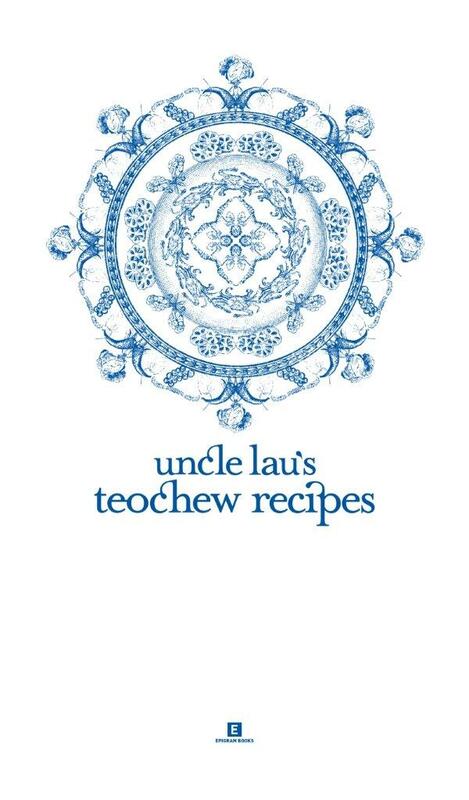 Uncle Lau’s Teochew Recipes is part of Epigram Books’ award-winning Heritage Cookbook series, which showcases the best of Singapore’s major cuisines through authentic family recipes.